A steadfast commitment to dialogue is first among our core convictions. Our signature event is the annual Ikeda Forum for Intercultural Dialogue. Members of our community offer perspectives on our core values. 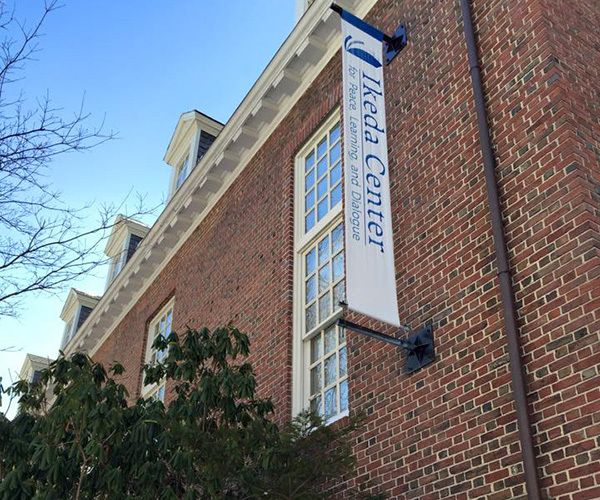 You can read about all Ikeda Center events at our Themes page. Founded in 1993 by Buddhist philosopher, peacebuilder, and educator Daisaku Ikeda, the Ikeda Center's mission is to build cultures of peace through learning and dialogue. 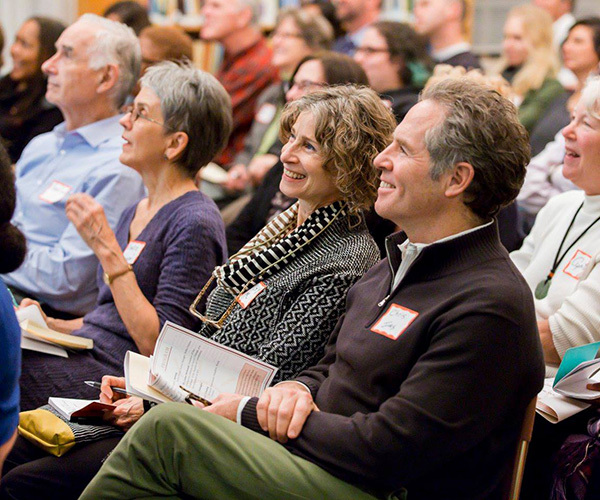 To that end, we host events, publish books, and produce original resources for our website. Upon our founding, Mr. Ikeda presented us with these mottos: "Be the heart of a network of global citizens. Be a bridge for dialogue between civilizations. Be a beacon lighting the way to a century of life." Learn about the history, mission, vision, values, and people that shape our work. Encounter essays, interviews, lectures, and articles on diverse facets of our work. 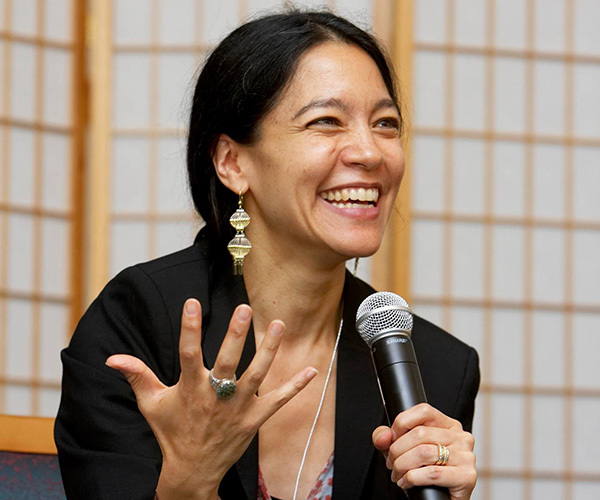 Check out our new interview featuring Catia Confortini, Associate Professor of Peace and Justice Studies at Wellesley College. In this in-depth conversation, Dr. Confortini explores the interrelationships among peace, justice, and feminism, also touching on topics such as empathy, intelligent compassion, and the power of alternative thinking to point us toward a world where women and peace alike are truly valued. The March 29th Dialogue Nights event at the Ikeda Center was the most well attended one yet, with more than 80 Boston-area university students and young professionals showing up to discuss “The Loneliness Epidemic.” The turnout showed that loneliness is an urgent issue for young people today, and that they are hungry for connection and willing to open themselves up to others to make that happen. On Wednesday, March 20, George Mason University Press hosted an author event celebrating Peacebuilding Through Dialogue, which it recently published in collaboration with the Ikeda Center. On hand to speak were book editor Peter Stearns and chapter contributor Susan Allen. Dr. Stearns is University Professor at Mason, and Dr. Allen is Associate Professor at Mason's School for Conflict Analysis and Resolution (S-CAR). We have now posted our in-depth report from the February book launch event for Peacebuilding Through Dialogue, hosted by the School for Conflict Analysis and Resolution at George Mason University. Click through to discover the panelists' diverse perspectives on the challenges to dialogue and the practices that make it succeed! On Wednesday, February 27, the School for Conflict Analysis and Resolution at George Mason University hosted a book launch panel discussion event for the Center's newest publication, Peacebuilding Through Dialogue. In his opening remarks, the Center's Mitch Bogen identified four central ideas from Daisaku Ikeda that illuminate the foundations of successful dialogue. Click through to read about these ideas!